Trained at Level 57, the Swashbuckler-exclusive power Hurl Blades represents one of the class’s heavily underrated and most powerful abilities. Most players questing a new swashbuckler will immediately put this power to the bottom of their list in PvE. It possesses lower damage and range than the class’s other offensive abilities, like Assassin’s Strikes. However, this is perfectly fine, as PvE can be done in such a streamlined and efficient manner that a (relatively) low impact power like this isn’t necessary. 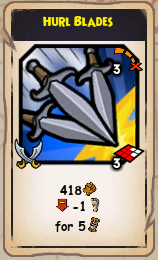 However, if this new swashbuckler enters PvP, they may continue to keep their Hurl Blades low on their powers pages. This is where I would begin to disagree with the player’s decisions. In this spotlight, I’ll analyze the Hurl Blades power, and hopefully explain what makes it one of a swashbuckler’s best utility powers. There are a few notable things about this portion of Hurl Blades’ power card. For starters, the damage is (obviously) affected by your hides. This means that a hidden Hurl Blades can deal 800 or more damage. Furthermore, the attack is an AOE. This means that it can “target” hidden units. It can also hit a unit with first strike 3 without triggering that unit’s first strike 3. 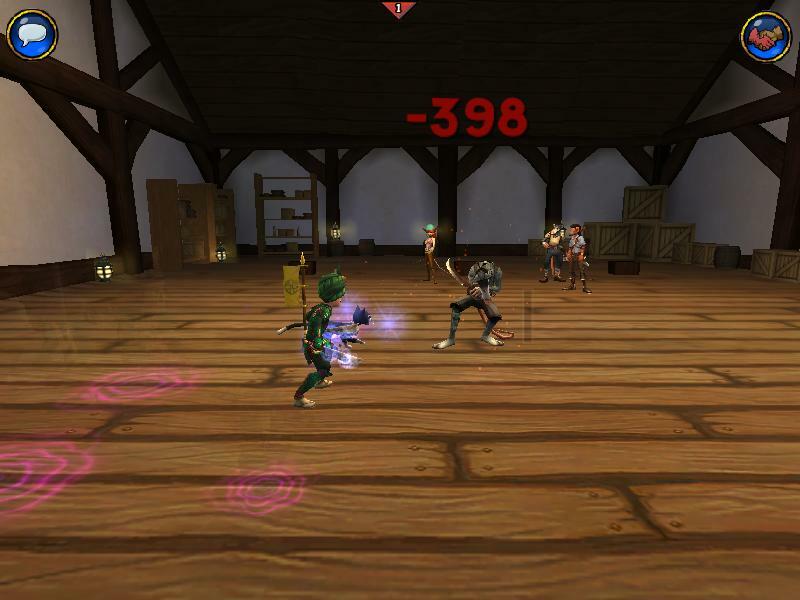 Thus, it’s an effective way of dealing damage in the swashbuckler mirror match, as it both allows you to use your hides in an effective manner while getting around your opponent’s hides. Furthermore, Hurl Blades can trigger Burst Fires, should you have it trained and be in melee range. 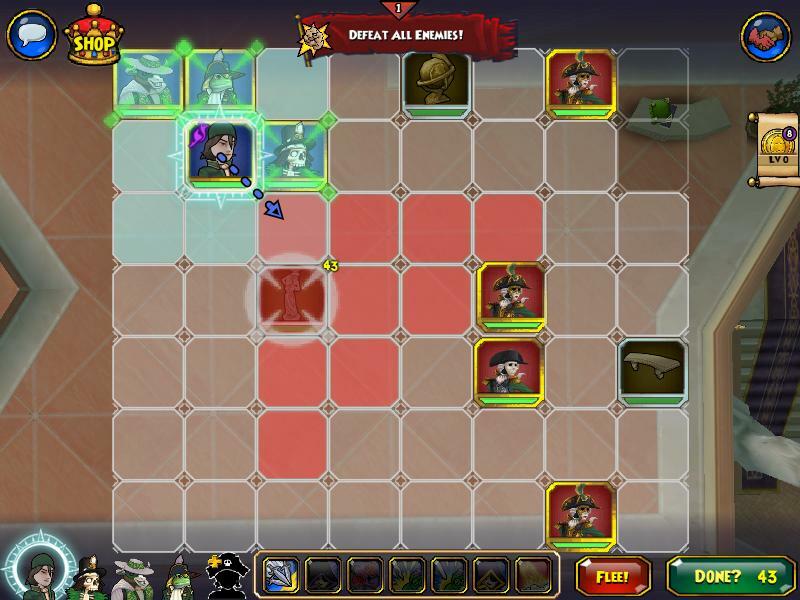 The marked range is 3 tiles, which seems very weak. 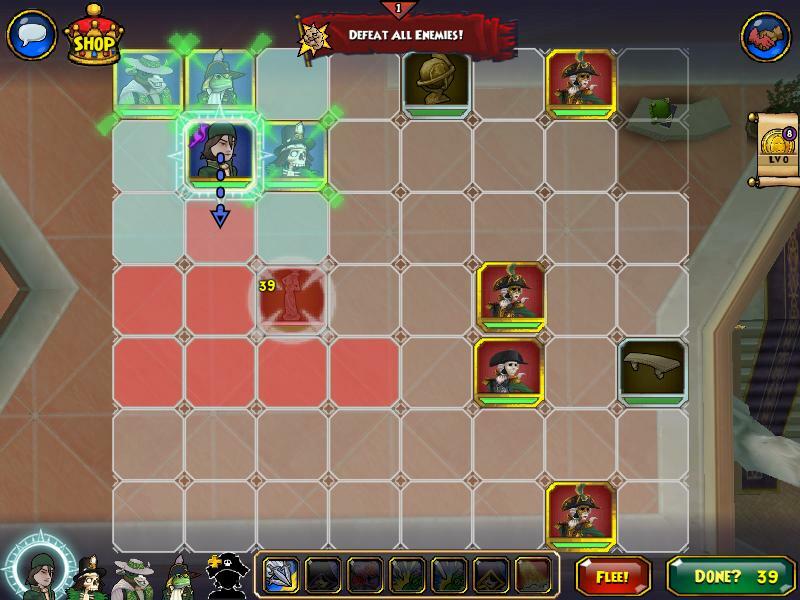 However, you may notice that if you position the aoe properly, you can increase the range to 4 tiles, as seen here. This is an important result to take note of. When both using or combating Hurl Blades, you must be aware of how the AOE’s range takes shape. Don’t be caught off guard by getting hit by the attack when you’re 4 squares away. You may think you’re safe, but you aren’t necessarily. This is possibly the most counter-intuitive portion of the power. Looking at Hurl Knife, the lower level version of Hurl Blades, we see that the stated aftereffect is -50% movement for 5 rounds. However, looking at Hurl Blades, the aftereffect states “-1 movement for 5 rounds.” However, this isn’t the case. The two powers have the same aftereffect; both reduce movement by 50% for 5 rounds. This may be some of the reason why this power is criminally underrated by Swashbucklers. They realize that the stated effect of -1 movement is very weak, so they ignore it entirely. 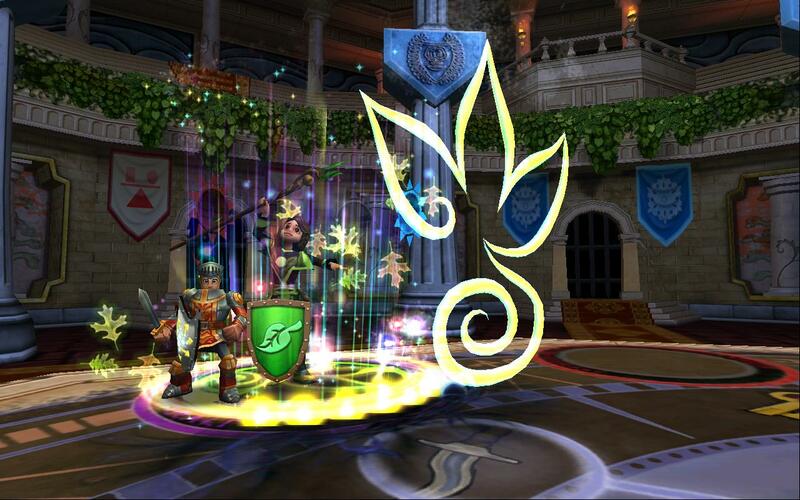 Now that we’ve discussed what exactly Hurl Blades does, the question still stands: “Why should I use this in PvP?”. I’ll highlight a few of this power’s potential uses and hopefully show how powerful of a role player it can be for a Swashbuckler. This is a particularly powerful application in the Swashbuckler mirror. Since both players have a limited amount of protection buffs, using them efficiently, or forcing the opponent to use theirs inefficiently is very valuable. With Hurl Blades, you can reduce your opponent’s movement range and then run away. At this point, they will be unable to reach you with attacks, but you will be able to reach them. Thus, they’ll be forced to waste protection buffs while you can remain unprotected. What happens if an opponent is at critically low health, with a poison tick already on them, but at high enough health to survive this poison? They’ve probably hidden their pirate to attempt to heal off your damage. Without Hurl Blades, you’re forced to allow this opponent to heal off your damage and artificially inflate the length of the match. However, Hurl Blades gives you the option to close out the match then and there. Since it can hit hidden targets, it will be able to kill the hidden opponent through their hide. Why is this so effective? Swashbucklers have the highest base movement of all the classes. When an opponent is at critical health, they generally have 4 options: heal immediately, hide and heal, shield and heal, or run and heal. Our high base movement makes trying to run and heal dangerous. Even if the opponent is in elusive before us, we can still position ourselves in a way that allows us to target them with Hurl Knives should they run. Healing immediately is also dangerous due to how potent our assassin’s strikes are. Shielding and healing is a decent idea, but can be counteracted if the opponent is at particularly low health, or if the Swashbuckler has Purge Magic. Finally, we’ve already noted how Hurl Blades makes hiding and healing a dangerous option. Thus, the Swashbuckler can effectively punish all of their opponents potential defensive moves. 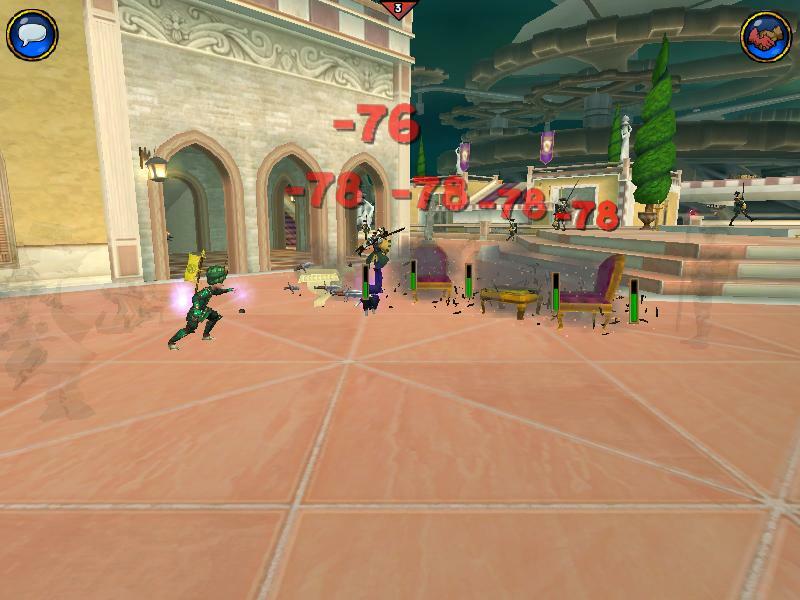 Hurl Blades is one of the most useful powers in a swashbuckler’s arsenal. 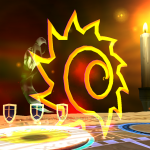 It’s particularly useful in melee match-ups and the mirror, where it can be employed to punish nearly any of our opponent’s moves. 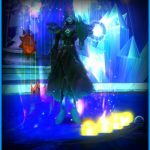 Learning how to effectively use this power is key to mastering the swashbuckler class, as it opens up a variety of lines of play that otherwise would not exist. I hope this feature shed some light on to Hurl Blades!